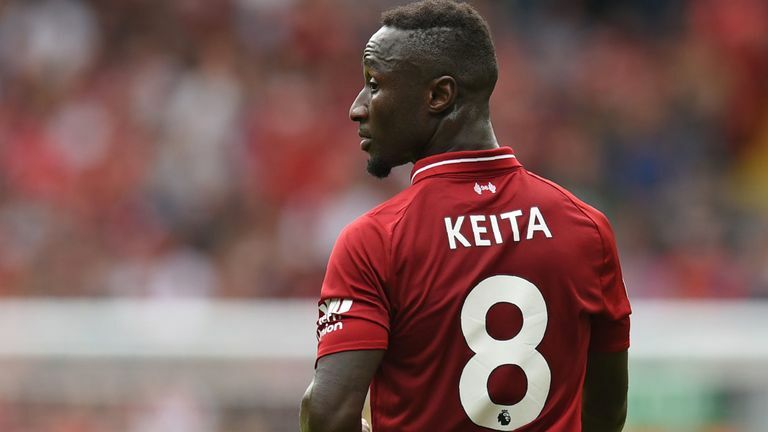 Bavarians keen on signing Liverpool footballer Naby Keita and set to battle with Borussia Dortmund for the player. The German club have problems in the midfield as James Rodriguez will return to Madrid, Thomas Müller is in terrible form, Corentin Tolisso has a severe injury, and their back-up is necessary. Guinea international is the best choice in this situation as he had a fantastic campaign in Bundesliga and paid attention. Niko Kovac will do everything to add him this summer. BVB also interested in signing him, and there will be a contest for the footballer. His price could increase and become much more. Naby joined the Merseyside club from RB Leipzig last summer with a €60m deal. He is a very talented footballer and can achieve significant success if he continuous improvement. In this season, Keita already played 27 games and made one assist in all competition. It is a good result, and he can do much more during this campaign. The 24-year-old player has contracted with the English club until 2023, and his release clause is nearly €65m. He is a regular member of the national team. Bavarians have an excellent result in Bundesliga as they are leading the table and have a big chance to win the competition one more time. German club lost the Champions League second playoff game with Liverpool 1-3 and kicked out from the competition. Bayern Munich heavily linked with Bayer Leverkusen midfielder Kai Havertz, Real Madrid forward Gareth Bale, German attacker Julian Brandt, Atletico Madrid defender Lucas Hernandez, Chelsea winger Callum Hudson-Odoi and French superstar Antoine Griezmann.